After a little research I found an article outlining how to do so , via the AMQP protocol using Proton C. However, I found myself wondering about the use case. Typically, we are sending events from our IoT devices to some cloud application for analytics, machine learning, or the like. Event Hubs are great for those high volume cases. 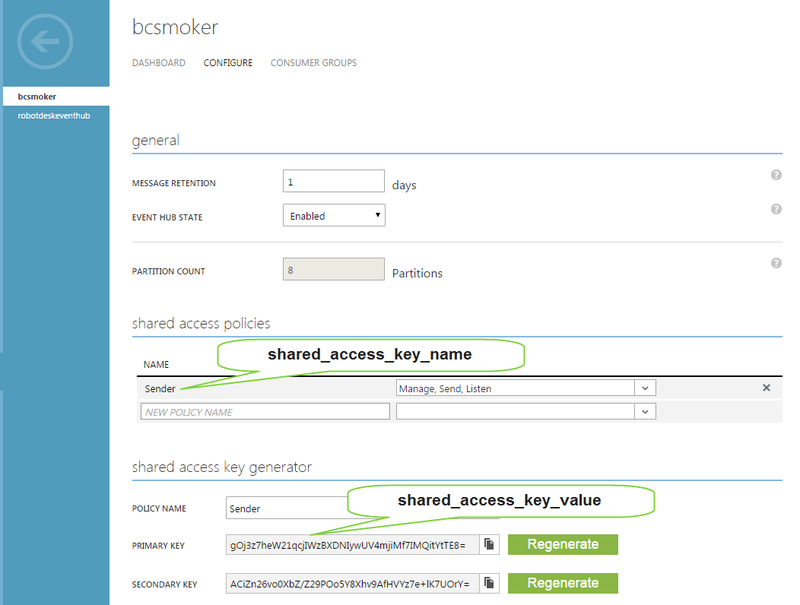 However, if you need it for a messaging scenario, queues or topics might be more appropriate, and they are directly supported by the Azure Python SDK. In my own case, I elected to use a simple long-polling strategy to have my raspberry pi listen to my cloud app for instructions. So, can it be done? Yes, here’s how. But it may not be the right tool. 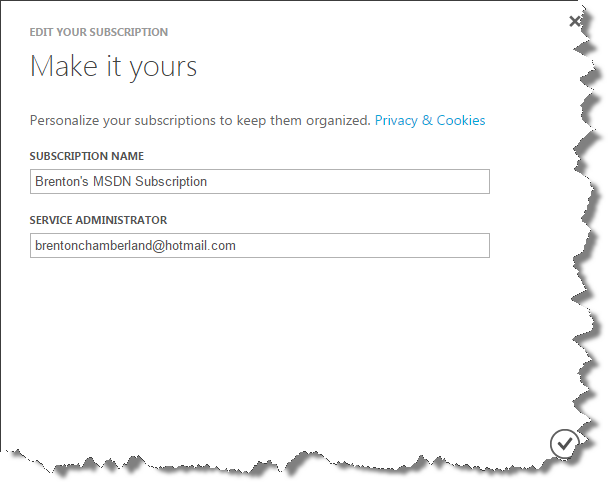 A colleague and I both have Visual Studio Ultimate MSDN subscriptions, with corresponding Azure subscriptions, and have given one another access for various little things as we’ve explored Azure. Unfortunately, this got confusing with our subscriptions having the same name, and has occasionally resulted in us creating things under the wrong subscriptions. In the Azure portal it’s not too bad because you are also filtered by directory, but in Visual Studio and other places it can be tough to figure out. 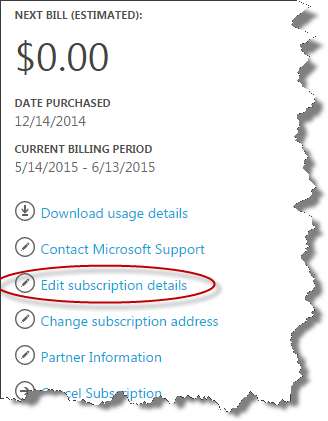 For example, Get-AzureSubscription returns two subscriptions with the same name! Which one is mine, and which one is Jack’s?